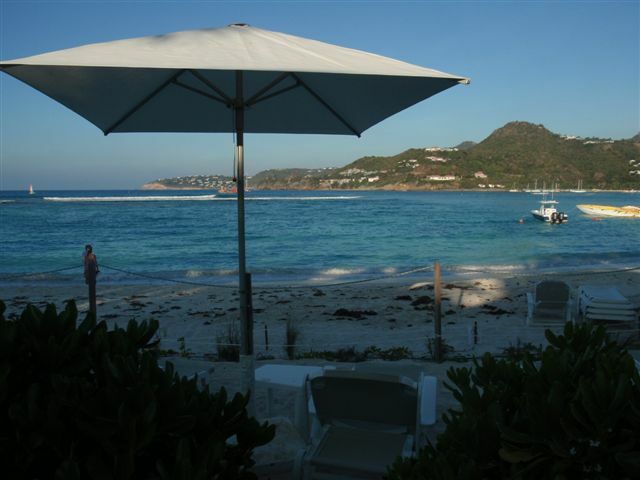 I just returned from another wonderful and successful trip to St Barth. The first week of my trip was vacation. My husband and I stayed a few nights at Les Ilets de la Plage. 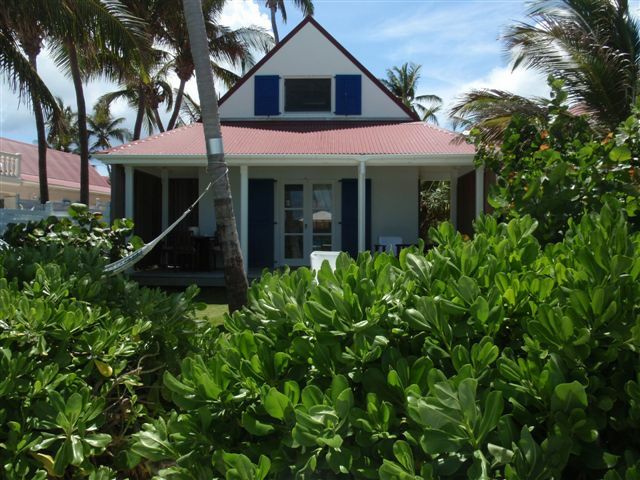 LOVE this property, it is simple (in the good sense), comfortable, spotlessly clean, welcoming and on the beach! The location of Les Ilets is perfect, convenient to St Jean shopping, but away from any road noise or construction. I enjoy the plane traffic and it didn’t seem to faze any of the other guests, most of them repeats. We stayed in one of the four units located right on the beach. What a treat! Fresh bakery items are delivered to your unit each morning and coffee service is available at the pool gazebo located in the gardens. The kitchens are well equipped and sufficient to prepare breakfast, lunch or simple dinners. There is a gas BBQ, ice machine, library of books and movies. Units have TV/DVD, I-Pod dock stations, safes and L’Occitane bath products. WIFI Internet service and TV are available at the pool gazebo in the garden. Overall - great property, great beach, great location, walk down St Jean beach for lunch or dinner at Nikki or La Plage...loved it! On the subsequent portion of our trip, we spent the first few nights at Villa WV TDC. This villa is located at the end of a road in Vitet, no road noise, lots of bird life, nice breeze and few mosquitoes (if any)! We moved to villa WV BEN after a few days. This is a comfortable villa, best for 2 couples. 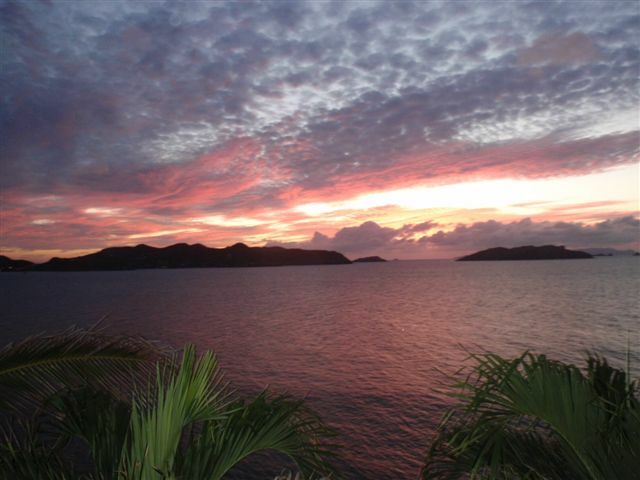 Most days we would return to the villa just in time to watch the sun set into the ocean. It has a nice pool, heated Jacuzzi and nice seating on the covered terrace.